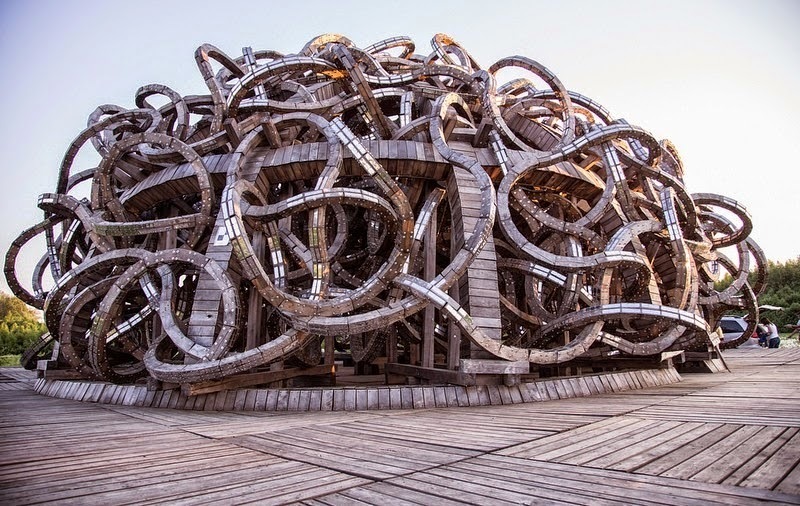 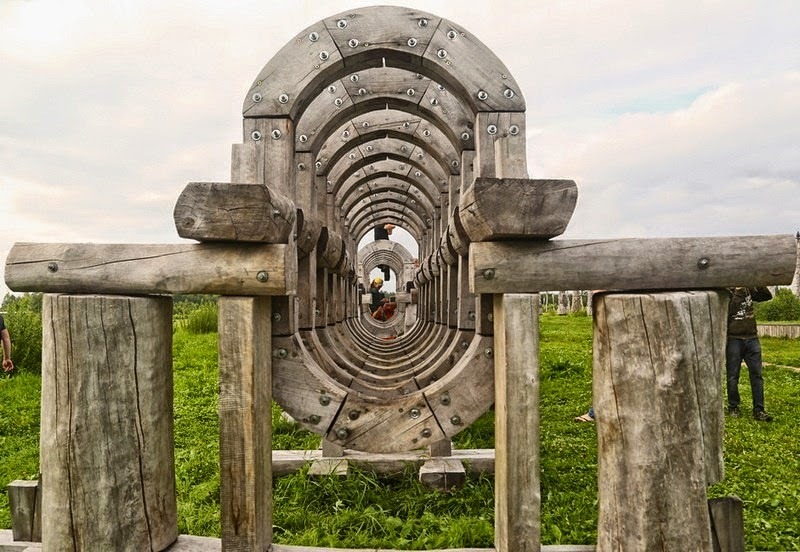 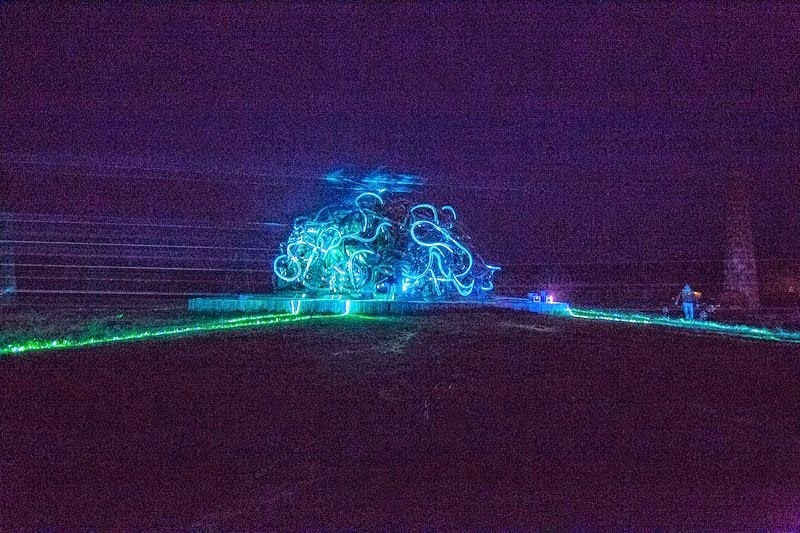 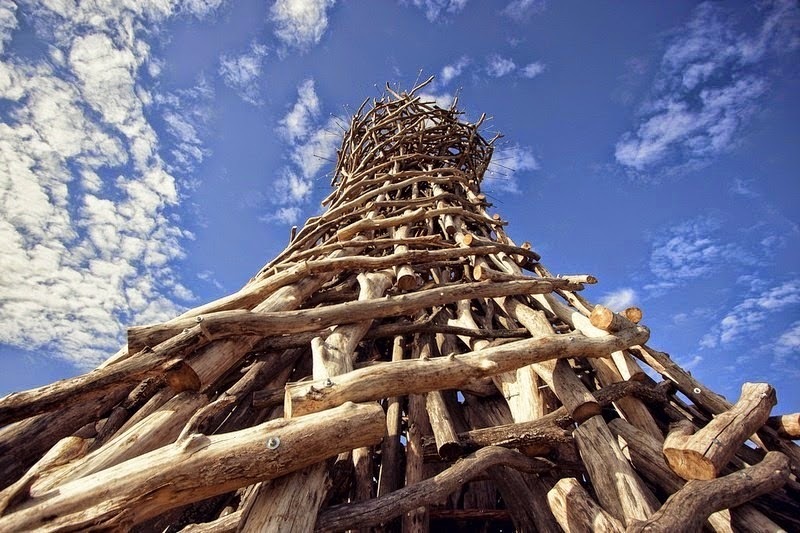 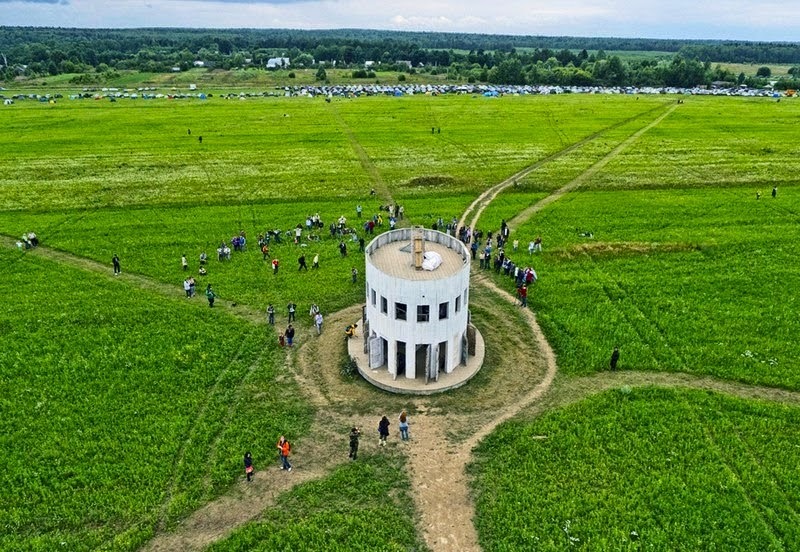 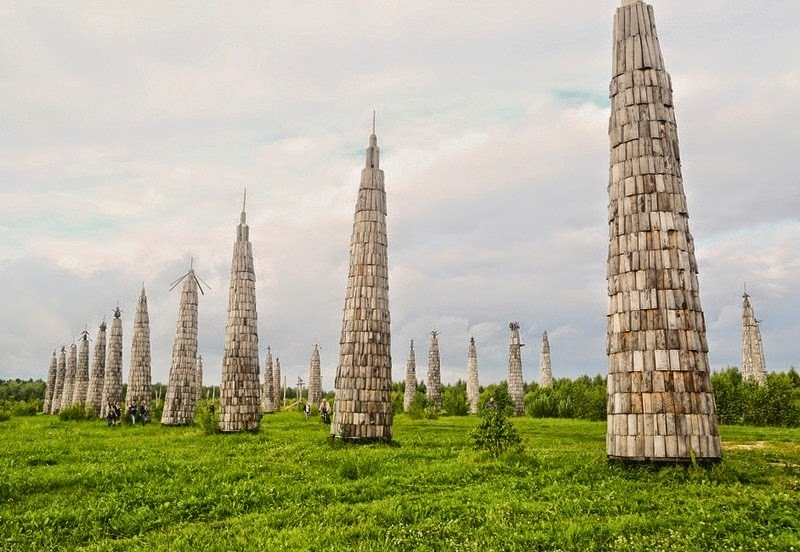 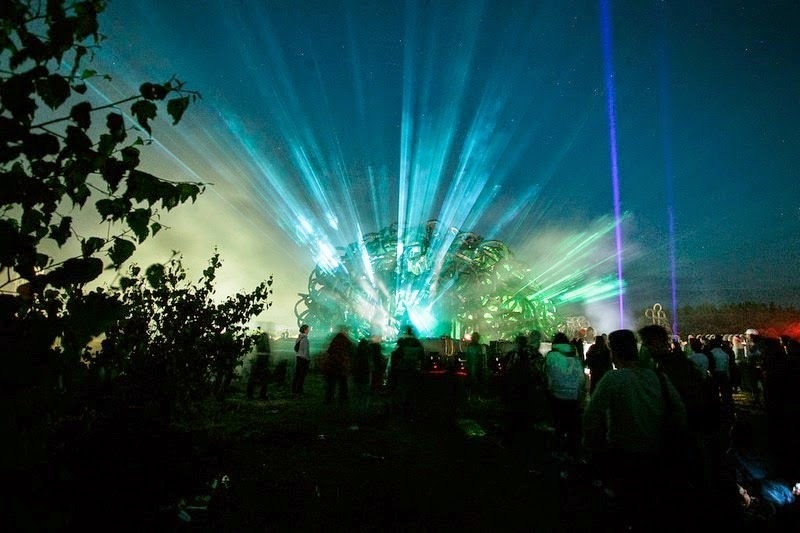 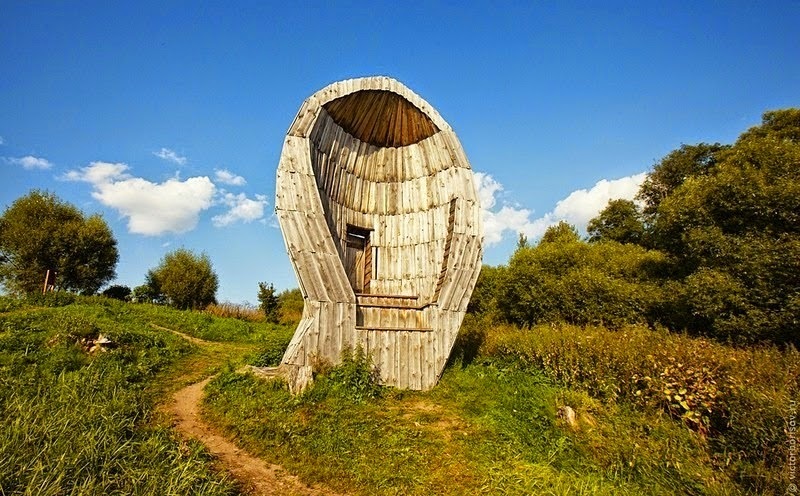 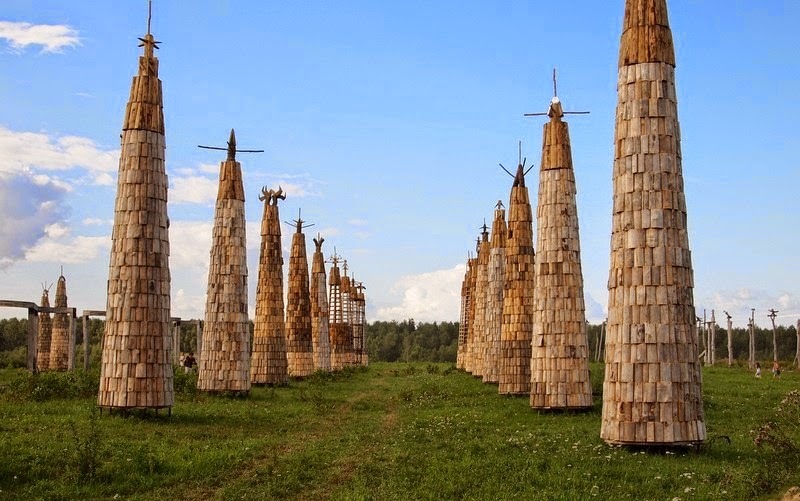 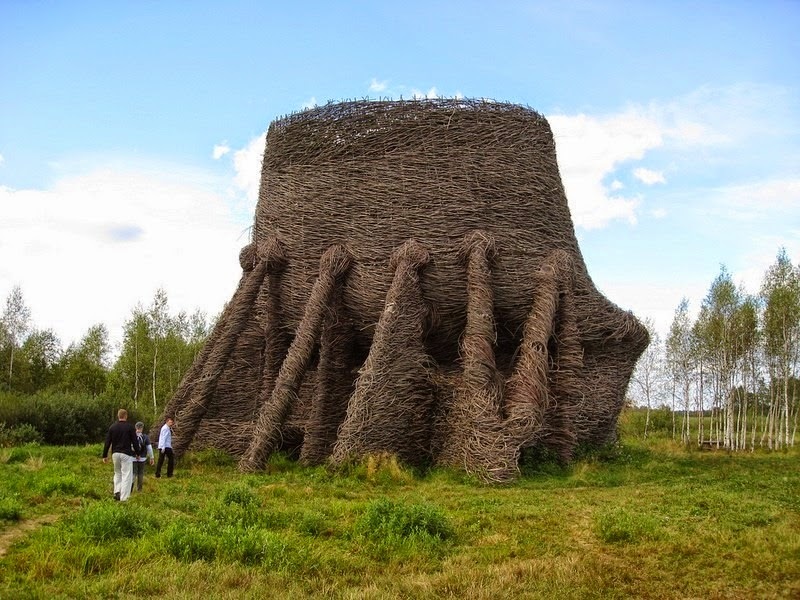 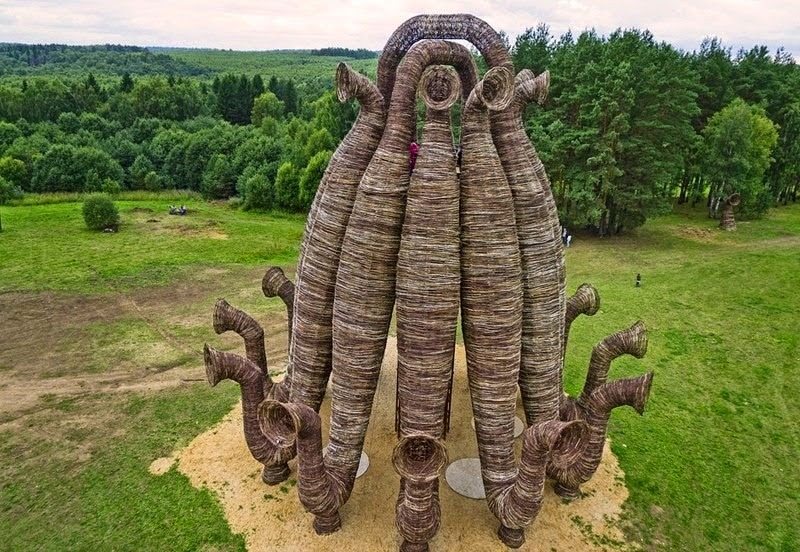 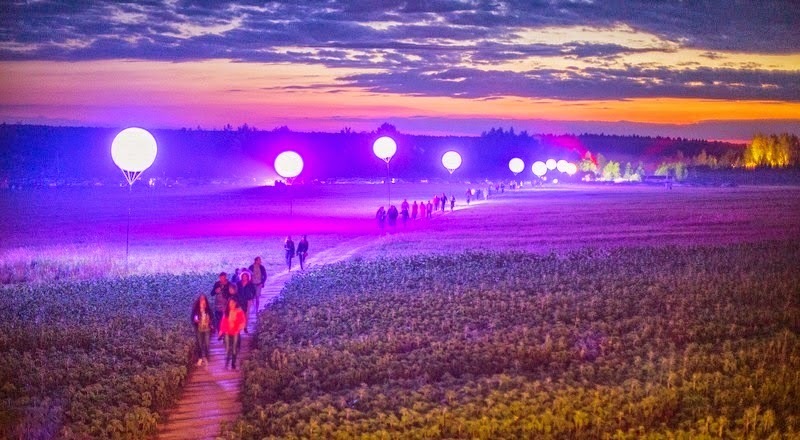 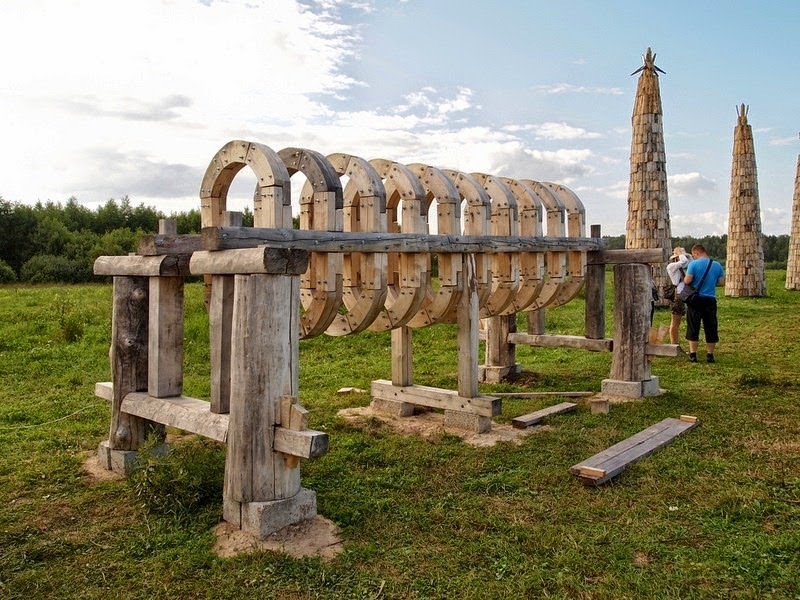 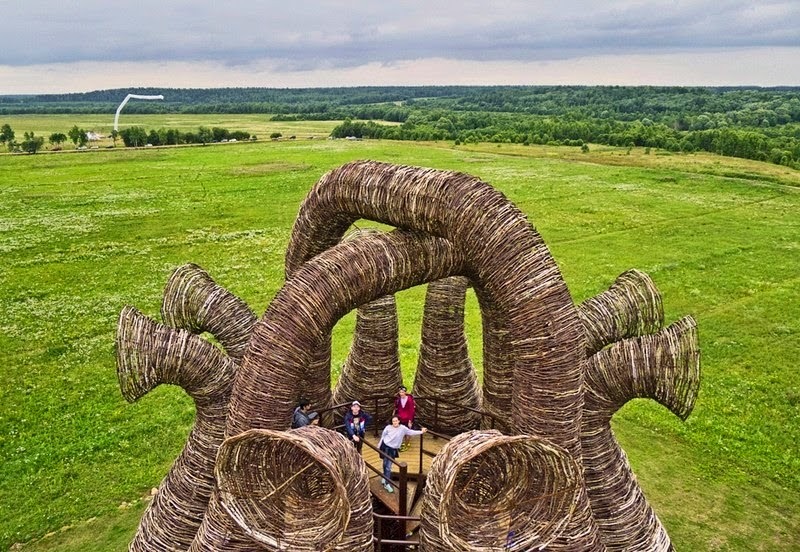 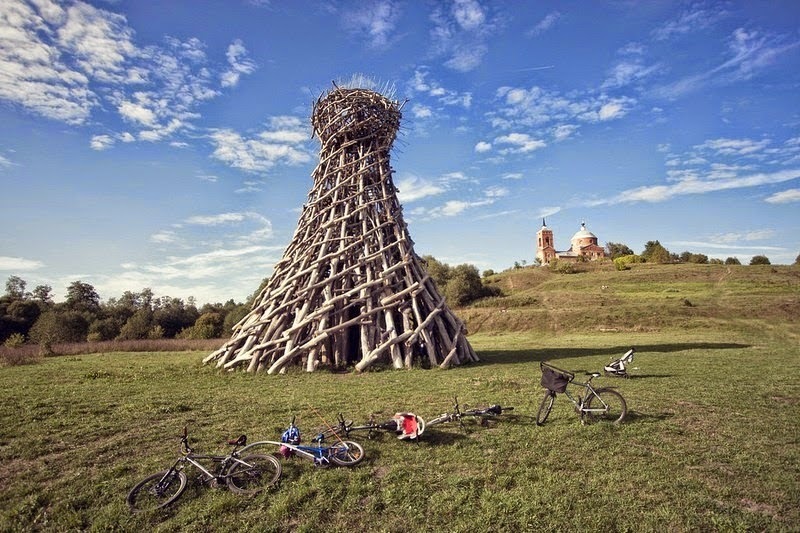 Every year, thousands of people flock to the small Russian village of Nikola-Lenivets, about 200 kilometers southwest of Moscow on the banks of the river Ugra, to admire land art, architecture and sculptural installations at the annual Archstoyanie Land Art Festival. 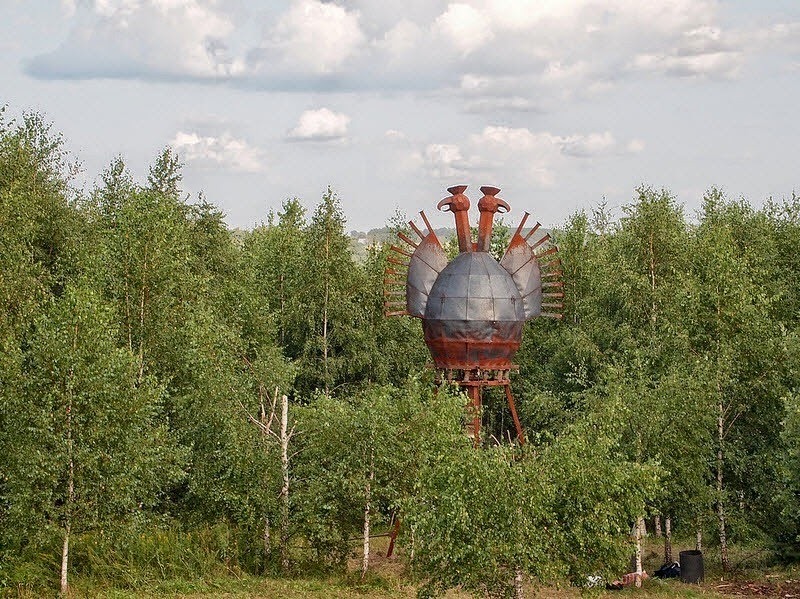 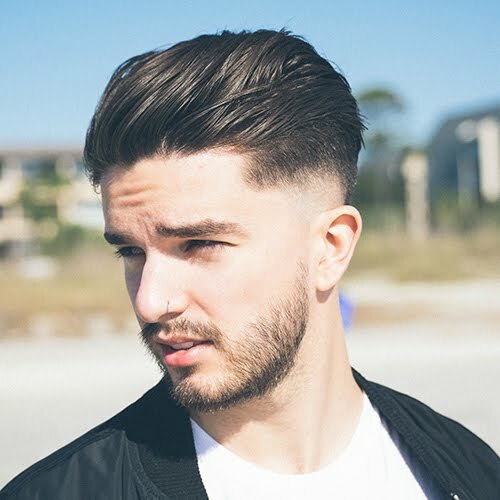 The festival was first inspired by artist Nikolai Polissky who moved to the village of Nikola-Lenivets in 1989 to escape the chaos and intensity of city life. 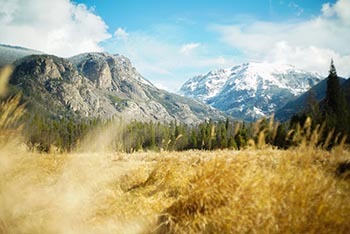 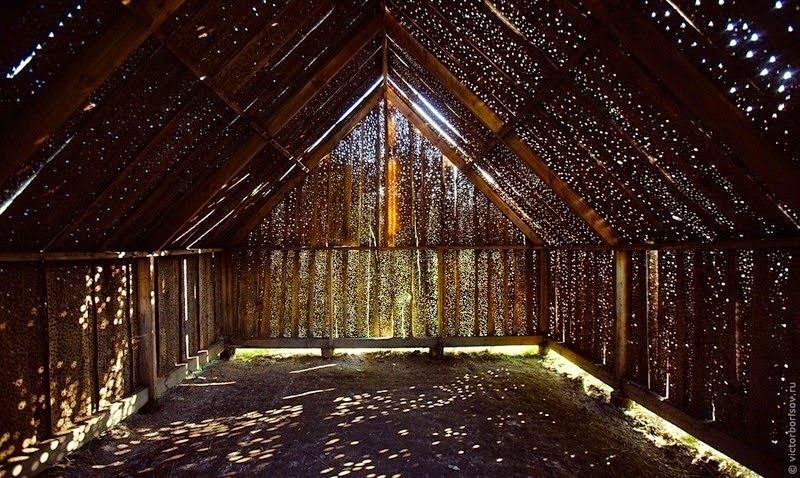 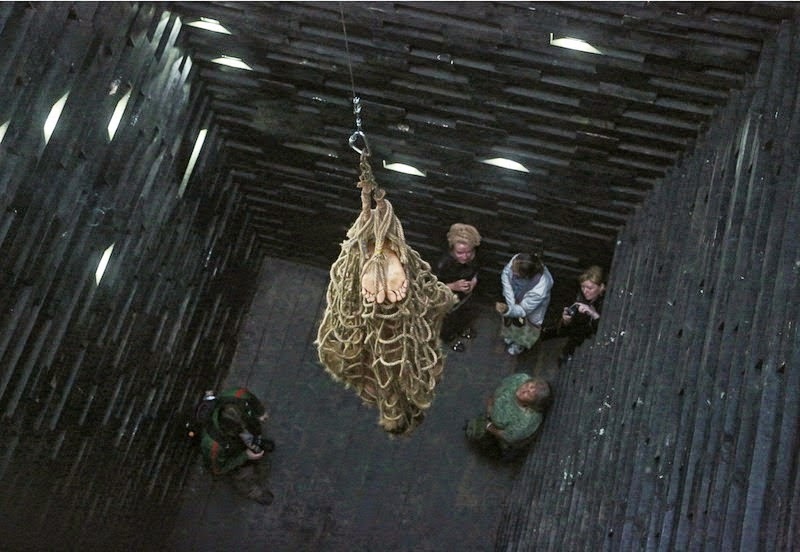 Employing locals to work in his studio, Polissky began to create large-scale environmental installations, constructed from the materials at hand, such as snow, twigs, and hay. 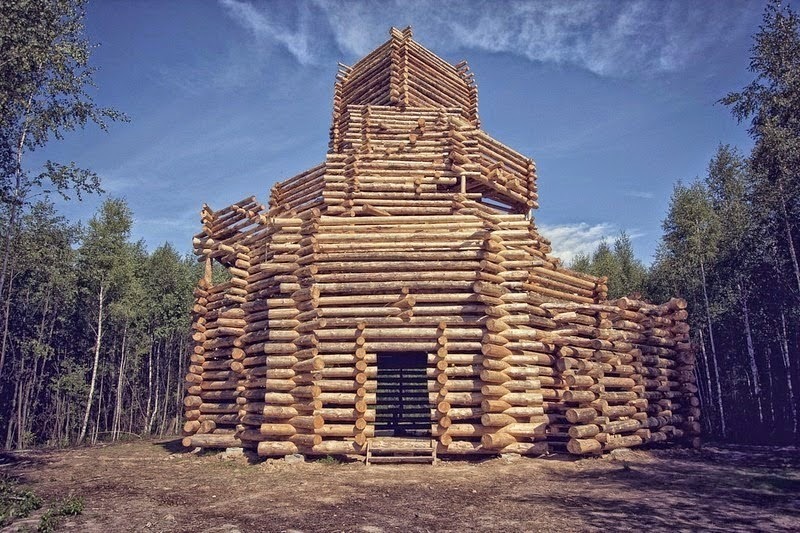 Under Polissky’s guidance, the village hosted the first Archstoyanie architecture festival in 2006. 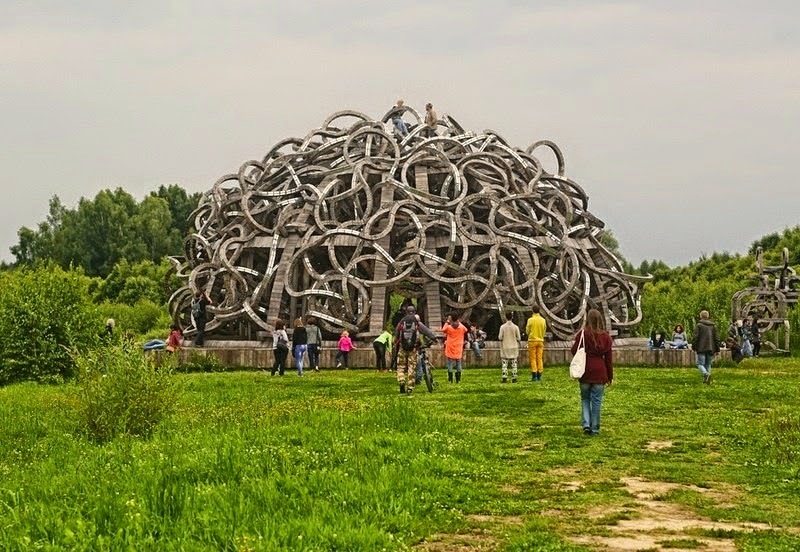 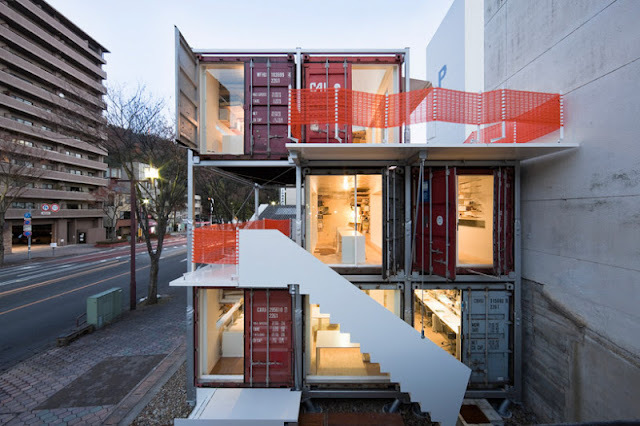 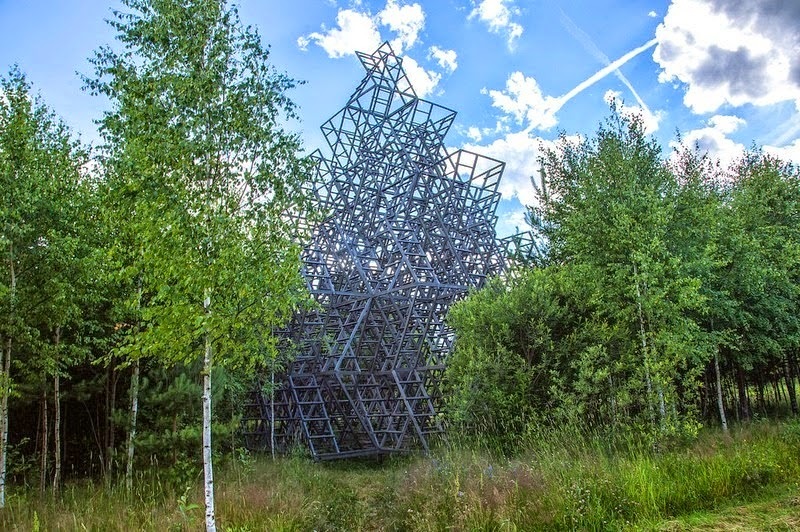 The event now takes place annually and brings in acclaimed artists from as far away as Germany, France, and Japan to create new temporary and long-term installations for the “Nikola-Lenivets Park,” attracting a growing audience of art and architecture enthusiasts.